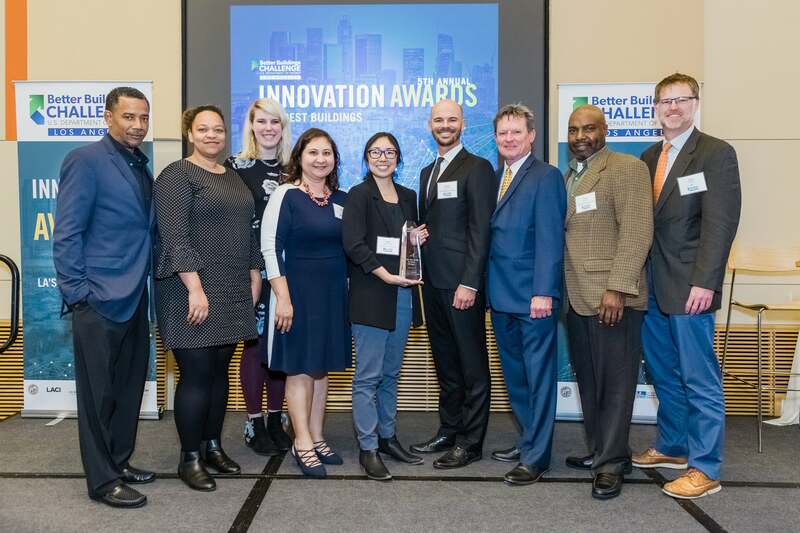 LACC was honored by Governor Edmund G. Brown Jr. with the 2017 GEELA on January 17, 2018, at the California Environmental Protection Agency Headquarters in Sacramento, California. The LACC was selected for the 24th annual award for its ongoing and robust sustainability program and exemplary achievements in conserving and protecting natural resources. The initiatives recognized include the installation of a "cool roof" and light defusing windows to reflect sunlight and direct heat away from the building, new water-efficient kitchen dishwashers and the replacement of 30,000 square feet of turf with drought-tolerant landscaping. The LACC is now 36% more energy efficient than the median building in Los Angeles and saves up to 950,000 gallons of water annually. 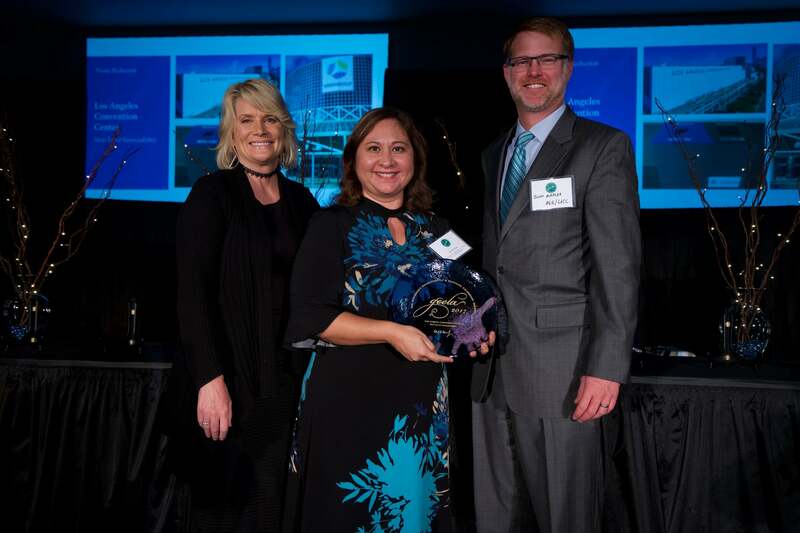 “This year’s GEELA recipients are demonstrating exceptional leadership in addressing some of our most significant environmental challenges,” said California Secretary for Environmental Protection Matthew Rodriquez. “Whether it’s fighting climate change, conserving our water supplies or reducing waste, they inspire us with their creative and collaborative approaches. Their success expands our view of what is possible. Collectively, they are proving that a healthy environment is inextricably linked with a vibrant economy." 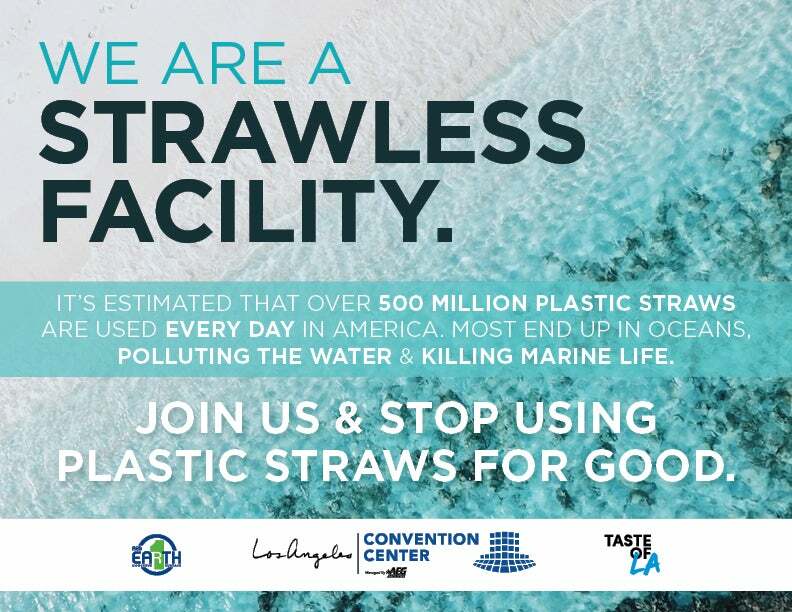 Under the management of AEG Facilities, the LACC has elevated and expanded its sustainable practices with the goal of decreasing its carbon footprint. The sustainability program includes more than 30 environmentally friendly practices and procedures implemented across five areas: Energy and Climate, Water, Waste and Recycling, Responsible Purchasing, and Education and Communication. The results: conservation of energy and water, the consistent increase in waste diversions rates, responsible purchasing of in-house goods, and the demonstration of leadership to local real estate and broad convention center communities. "Sustainability and energy efficiency are core values at AEG Facilities," says Brad Gessner, Senior Vice President and General Manager at the LACC. 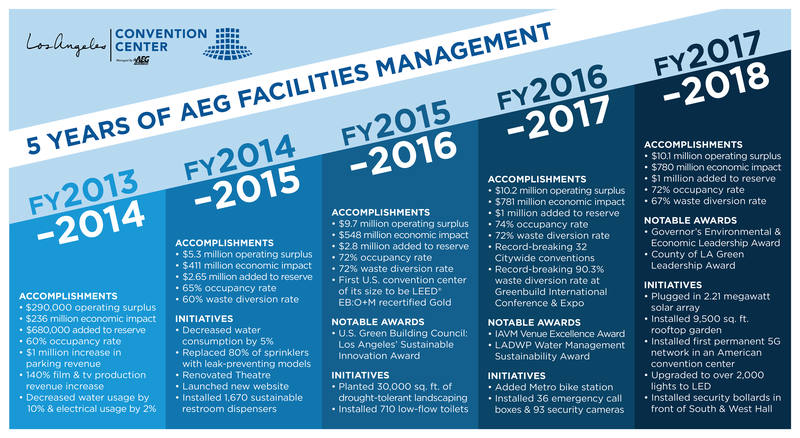 "At the Los Angeles Convention Center, we have adopted the strategies of AEG 1EARTH, AEG’s program established to reduce the company’s environmental impact, and constantly strive to be innovative and reach new goals to better our environmental impact in the city of Los Angeles and the greater state of California." AEG, a wholly owned subsidiary of the Anschutz Company, is the leading sports and live entertainment company in the world. AEG Facilities, a stand-alone division of AEG, and its affiliates owns, operates or consults with more than 120 of the industry’s preeminent venues worldwide, across five continents, providing complete venue management, as well as specialized programs in operations, guest services, ticketing, booking, sales and marketing. AEG Facilities also provides resources and access to other AEG-affiliated entities, including AEG Live, one of the largest live music companies in the world, AEG Global Partnerships and AEG Real Estate, as well as such industry leading programs as AEG 1Earth and AEG Encore to support the success of its venues across the globe. The Los Angeles-based organization owns, operates or provides services to the world’s most elite venues, including STAPLES Center and Microsoft Theater (Los Angeles, CA), StubHub Center (Carson, CA), Sprint Center (Kansas City, MO. ), Valley View Casino Center (San Diego, CA), KFC Yum! Center (Louisville, KY.), American Airlines Arena (Miami, Fla.), Prudential Center (Newark, N.J.), Barclays Arena (Brooklyn, N.Y.), Target Center (Minneapolis, MN), Oracle Arena and O.co Coliseum (Oakland, CA), CONSOL Energy Center (Pittsburgh, PA), Mercedes-Benz Arena (Shanghai, China), MasterCard Center (Beijing, China), The O2 Arena (London, England), Mercedes-Benz Arena (Berlin, Germany), Barclaycard Arena (Hamburg, Germany), AccorHotels Arena (Paris, France), SSE Hydro (Glasgow, UK), Qudos Bank Arena (Sydney, Australia), Perth Arena (Perth, Australia), Ericsson Globe Arena (Stockholm, Sweden), Los Angeles Convention Center (Los Angeles, Calif.), Hawaii Convention Center (Honolulu, HI), Puerto Rico Convention Center (PRCC), Brisbane Convention & Exhibition Centre (Brisbane, Australia), International Convention Centre (Sydney, Australia) and the Oman Convention and Exhibition Center (Muscat, Oman). For more information, please visit aegworldwide.com.